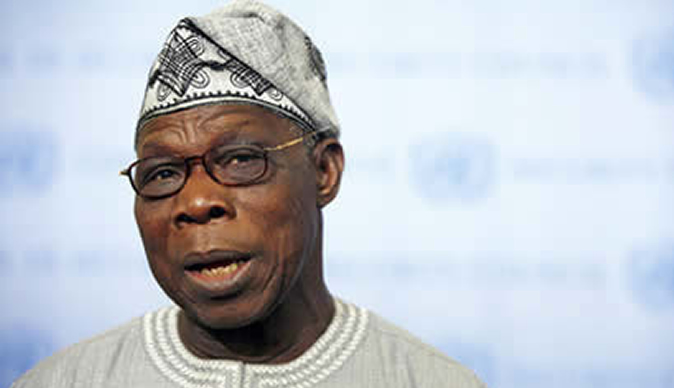 Former President Olusegun Obasanjo, yesterday said Nigeria needed a leader who understood the economy to run its affairs. Obasanjo, who spoke in Lagos at the 2018 Annual Public Lecture of the Foursquare Gospel Church in Nigeria ahead of its 63rd Annual National Convention, said that even Jesus Christ understood economics. Although, he did not say the candidate he would prefer in 2019, Obasanjo had previously said that President Muhammadu Buhari lacked good understanding of the economy. Obasanjo posited that any leader who lacked good understanding of the workings of the economy cannot succeed. He said: “There is no doubt at all that if we have to get it right, the three (economy, faith and politics) must go together. One of my international best friends was the former Chancellor of Germany, the late Helmut Schmidt. He died at the age of 96 years. He died about two years ago. I was at his burial. “He said to me that if we in Africa must have development, all our political leaders must have grounding in economics. As you heard from Bishop Kukah, even Jesus Christ was a good economist. The former President, who exchanged jokes with the guest speaker, Bishop of Sokoto Diocese, Rev Father Matthew Hassan Kukah, also hinted that he was not done with politics. He said there were those who thought he had retired. “There are those who think we have retired or are retiring,” he said without explaining. In the past few days, his former deputy, Atiku Abubakar, emerged as the Peoples Democratic Party (PDP) presidential candidate while President Muhammadu Buhari is the All Progressives Congress (APC) candidate. Obasanjo wondered jovially how the church was able to bring him and Kukah together. Kukah, in turn, joked that Obasanjo only got his PhD in Theology in 2017, while he had his 27 years earlier. “For somebody like Obasanjo, it is not a small achievement,” Kukah said.